Synopsis: We've expanded our offerings from Sonax! We now offer more of Sonax's great products. Show your MINI some Sonax love! 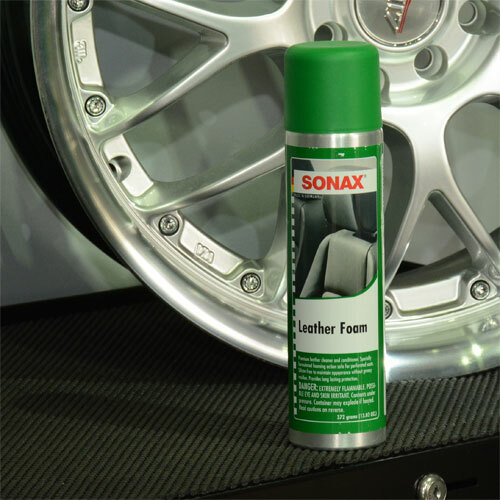 SONAX Leather Foam is a premium leather cleaner and conditioner, formulated to be tough on stains yet gentle on your fine leather. Restores leather to its original suppleness. Foaming action makes it safe for heated seats and perforated leather surfaces. A modified beeswax ingredient reduces slipping and replenishes leather. Which products are you looking forward to trying? !